The 21st century has been defined by the second golden age of television. Film in the 21st century has been defined by the superhero genre, and films that seem to be unable to compete with TV shows; even the greatest film of the 21st century according to BBC’s poll, Mulholland Drive, started out as a pilot for a TV show. In addition to this, several of film’s auteurs (notably David Lynch and Steven Soderbergh) have quit making films in favor of making TV shows. With technological advances (mainly the digital camera), the film market has been saturated with a wide range of films; therefore, finding the films that are worth the time to watch them and the ones that aren’t has been harder and harder. On top of this, streaming services such as Netflix and Amazon have created so many options for the consumer that finding great films are much harder than finding great TV shows. The popularity of TV shows has led to a large group of overlooked films; however, great films are still being made every year, and with the limitations of television (mainly the budget and character-driven plots), film is still superior. 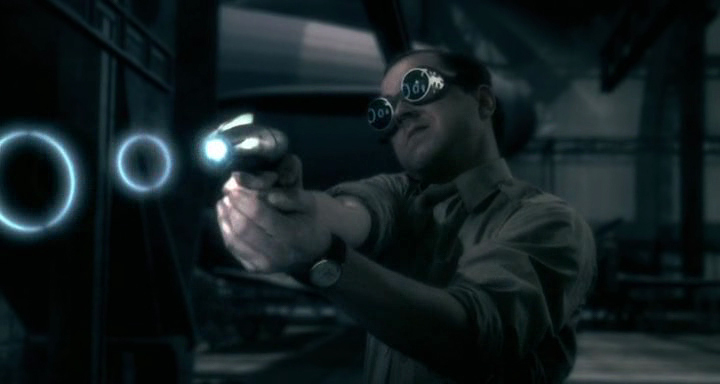 Film, through budget and complex visual techniques, can create an experience that can easily rival the best TV shows. However, many people are unaware that these films exist because most lists of the greatest films of the 21st century include the same films with little variation. Therefore, this list is made of the top 10 most underappreciated films of the 21st century. Sky Captain and the World of Tomorrow is the film that Indiana Jones and the Crystal Skull should’ve been. It is fun, daring, inventive, exciting, and above all adventurous. Sky Captain is soaked in the style of the 1930s serial films that influence much of Lucas’ Star Wars and Indiana Jones. It actually started out as a 6 minute short film that was done in the style of a 1930s serial film. However, Sky Captain is much more visually interesting than any of it’s influences; it feels like a mixture of an adventure film and a German Expressionist film. This might be because most of the film is shot on a green screen which gave Kerry Conran complete control over the visuals of the film. With this control over the visuals, Conran not only creates a location for the film that mirrors that characters feelings, but also a feeling that the audience is both in the past and in the future. Creating a feeling of both nostalgia and awe in the audience that hasn’t been felt since the original Star Wars trilogy. Both of these films create a mixture of time periods that make these worlds that they create truly timeless; moreover, Sky Captain isn’t a film of the times, but rather a film of all the times. Nicolas Winding Refn creates a completely visual experience that goes beyond description. This is most likely due to the fact that he is dyslexic and prefers to use as little words as possible in a scene. 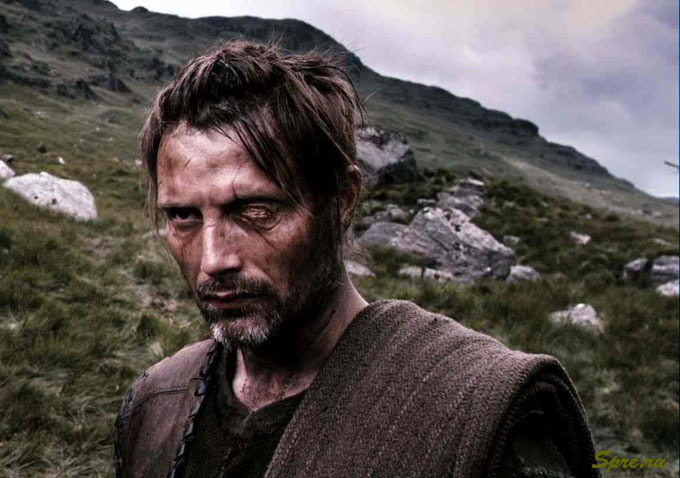 Most people know Refn for Drive which is another example of his great visual filmmaking, but Valhalla Rising is a film so completely immersive that it is the closest the 21st century has come to creating Apocalypse Now. However, instead of Vietnam, Valhalla Rising creates Hell. It achieves this through the use of sound and the extreme violence. The beginning of the film displays a level of brutality that is continually matched throughout the film. Most of the violence comes from One-Eye, the protagonist, as he is often defending himself. One scene in particular where he disembowels a man that is guaranteed to haunt anyone who watches it. This violence is only intensified by the lack of dialogue and the atmospheric music. The lack of dialogue creates a film that gives the viewer little to identify and even less to identify with because it is set in the 11th century. With all of these things adding to the impact of the violence, the scenes in Hell are all the more impactful because of these things as well, but the scenes in Hell have another layer of visual terror added because of the way the new setting appears so foreign to the characters and the audience alike. Eventually, creating an experience that has been unmatched in the 21st century. 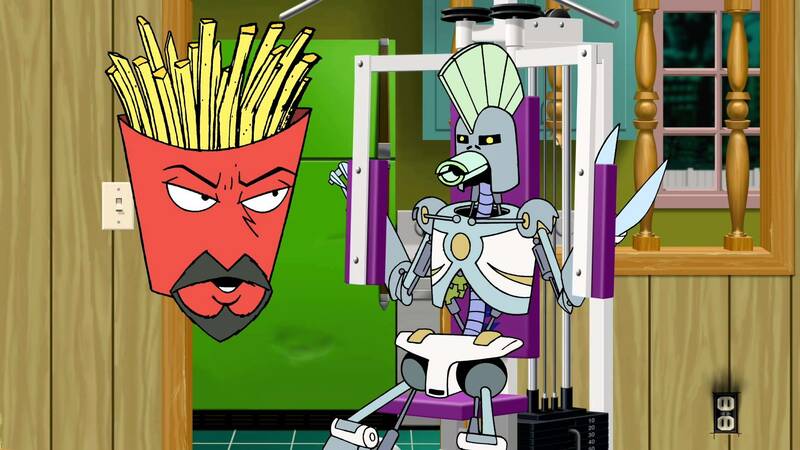 Aqua Teen Hunger Force Colon Movie Film for Theaters (ATHFCMFFT) is “the most successful full-on surrealist film since [Luis] Bunuel and [Salvador] Dali’s L’Age d’Or” as Glenn Kenny described. However, this film is more closely related to Bunuel and Dali’s Un Chien Andalou because they both are attempting to start a film revolution through subverted narratives. ATHFCMFFT may not have the influence Un Chien Andalou does, but it certainly has a scene just as revolutionary as the eyeball cutting scene in Un Chien Andalou. The opening scene which contains an old time theater cartoon creates an unforgettable scene that subverts film culture in the same way Un Chien Andalou did in the 1920s. Many critics praised the opening scene, but felt that the rest of the film wasn’t as good; however, the rest of the film is almost as absurd as the opening. The film’s plot isn’t hard to follow, but the randomness of the film creates a headache for anyone trying to fit all the pieces together. It is complete style over substance in the best way; the type of style that uses weird sounds, camera zooms, dialogue, randomness, and anything else to create a laugh that makes anything seem possible in film. The best way to watch this film is to try and let go of control because ATHFCMFFT is an unforgettable ride that produces lines as quotable as anything in a Quentin Tarantino film, and visuals as unforgettable as anything in a Bunuel and Dali film. 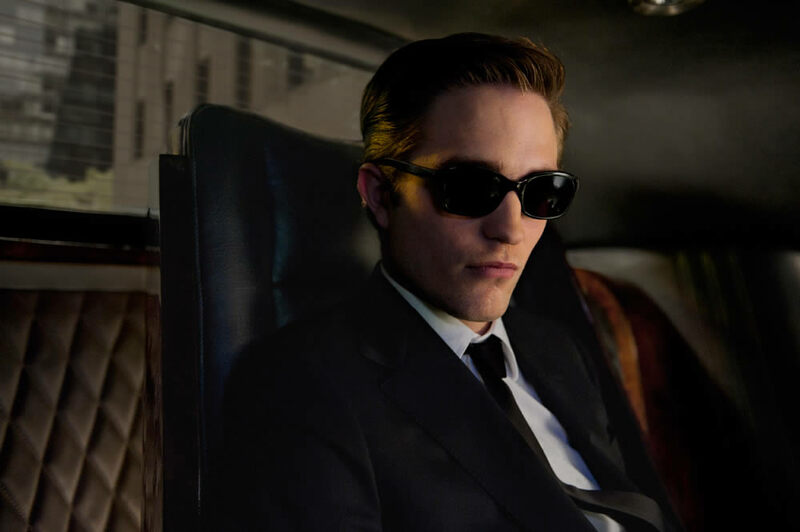 Cosmopolis has been overshadowed by other Cronenberg masterpieces in the 21st century; however, none of his films match Cosmopolis’ intelligence and depth. This might be due to the fact that the film is adapted from a novel written by one of the greatest American writers ever, Don Delillo, but there is also something else that lifts this Cronenberg film above his other 21st century masterpieces: the location. Most of the film takes place in a limousine that is brilliantly constructed to symbolize many different settings throughout the film. For example, this limousine first symbolizes the wealth of Eric Packer, but it used as a conference room, bedroom, doctor’s office, and a personal office. The limousine becomes an extension of Packer himself which Cronenberg brilliantly demonstrates through the windows that seem to project a view completely separated from reality which is exactly the way Packer views the world. This is often a criticism of the film because the actors seem to speak their lines with little emotion; however, the actors play their roles perfectly because the film is suppose to create a sense of reality that is off balance. The separation of reality that Parker experiences is perfectly mixed with a reality that is off balance; this is mostly shown through the differences of his meetings in his limousine and his meetings outside his limousine. Eventually, the two worlds collide in a sensational ending that is as intelligent as it is shocking. Wolf Children contains one of the saddest happy endings of the 21st century, but the ending only achieves this because the rest of the film is building up to this. Wolf Children creates this ending by being a bunch of different film genres rolled into one life changing film; it begins as a traditional romance film, but then becomes a film about parenthood and growing up. This is the heart of the film: parenthood, childhood, and how they interact with each other. More than any other film in the 21st century, Wolf Children creates the beauty of relationships and the sadness of them. Mamoru Hosoda does this through showing the start of each relationship in the film and allows them to develop throughout the film. On top of that, each character has their own struggle which changes their relationships with the other characters. However, Hana’s relationship with her children is the main focal point. Throughout the film, she is struggling to raise her children; the whole film displays a parent’s love for their children through Hana and the difficulties she overcomes. All the sacrifices she is willing to make whether it is losing sleep in order to make sure her child is done crying, moving to a rural area, so her children can run around as wolves, or allowing them to move along their own path without her shows the sacrifices that every parent makes for their child because they love them. 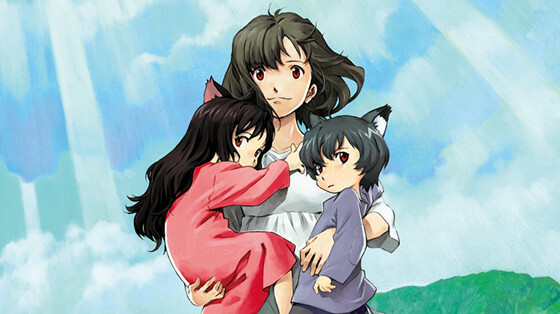 Wolf Children more than anything shows everyone the sacrifices their parents made and the sacrifices they have to be willing to make in order to raise their child.